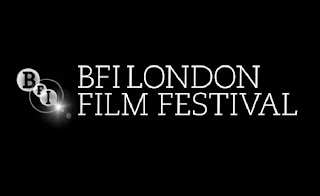 The London Film Festival has grown and grown in popularity and stature over the years. Over a decade ago, it was a more sedate affair, mainly populated with pensioners and students, serving as a catch-up of films shown previously in Cannes, Toronto and Venice. But under the masterful direction of first Sandra Hebron, and since last year Clare Stewart, the festival has seen its attendance and prestige increase dramatically, thanks to a winning and versatile programme which includes red carpet galas for bigger films as well as smaller, undiscovered gems, all of this fuelled with an infectious enthusiasm and a casual yet vibrant atmosphere. Helped by a growing appetite for a wider range of films in the UK, and the chatter and connections of films fans made through social networks and especially Twitter, it has become an essential rendez-vous for film fans in the capital and outside it. But with popularity and an increased attendance comes a flip side, one which, due to an incident today, might threaten to dim the enthusiasm of its supporters. Back in the days, booking tickets for the festival meant sending a postal order and hoping for the best. My very first attempt back in 1998 had the box office not processing my request as they could not read my card number, but waiting until the screenings were full to call me and let me know. Nice. Then when I first began attending the festival fully in 2009, a membership in tow, I experienced the first of the LFF meltdowns, also experienced, no, endured by so many others. Members have priority when it comes to booking films at the festival, on what has become the much feared members' day. The website that year could not handle the demand and kept crashing, the phone lines were constantly engaged, and a good couple hours of frustration ensued until I finally managed to book most if not all the films I wanted. I did not take a chance the next two years and simply tried the postal order route, which yielded some decent results. But in 2011, the BFI made it clear that phone and online bookings would take priority. And I went one step up and forked out for an expensive Championship, which is a higher status of membership, as Champions are able to book a day early. Yet it was still a disaster. The BFI website just did not work on Champions day, with most films not open to sale when they should have been, then when I rang to book, the BFI staff member charged my card twice by accident then lost my orders three times, and it took them a week to refund me. At least I managed to book all the films I wanted. Before I go into this year's fiasco, I must give a bit of context. The British Film Institute is a charity, with limited means, and just like so many other artistic institutions in the UK, it has suffered some severe budget cuts recently. But I love the British Film Institute. Unlike the Grande Dame that is La Cinematheque in Paris, with its glacial and museum-like atmosphere, its British counterpart feels like its naughtier, drunken sister, with a fantastic social vibe and a great staff, offering all sort of events, previews, and Q&As throughout the year, through sheer dedication and passion. So us, London film fans, have got a lot of time and understanding for this institute, which has given us so much. So the LFF 2013. It has been rightly praised for its excellent line-up. And when bookings opened for Champions yesterday, it was yet again a bit of a pain. I was unable to log-in, then unable to pick an actual seat number, then when I tried to finalise my booking the payment system was not working. I had to resort to call, and it took me a good hour of trying to get through on the phone to get my order. But members have not been so lucky today, as the festival has suffered its biggest meltdown in its history. The BFI's website payment system crashed pretty much as soon as bookings opened this morning. Members were able to book tickets but not to pay for their purchases, and ended up losing their orders, all the more frustrating as screenings were seemingly selling out throughout the day (how?). I read tweets after tweets of frustration, as the day escalated into a farce, with some spending up to ten hours trying to book tickets online or get through on the phone. A line of about 80 people formed at the BFI early on, only for their internal payment system to crash too, which meant cash payments only (and who exactly carry hundreds of pounds in their wallets nowadays?). The staff did what they could, offering to hold seats for people while the payment situation was rectified, offering to take reservations by e-mail, and extending the opening hours until 2230, but it soon became clear that they were completely overwhelmed by it all, unable to answer the backlog of e-mail requests, tweets etc.... The BFI twitterline was one long serie of apologies, advising to call instead (when the phone lines were completely oversubscribed). And my twitter line was one deluge of frustrations and panic from anybody trying to book, many having taken the day off work for the occasion. As I said before, yes the BFI is a charity with limited means. My championship is expensive, but I appreciate that it is not all about what I can get out of it, part of it is also meant as a donation to a charitable art institution, which I am happy about. And such booking problems happen at any oversubscribed events such as music festivals, concerts, proms, the Olympic Games last year etc... To some non film fans, I can appreciate how the whole thing can come across as a storm in a teacup. But members have got jobs etc.. and better things to do than waste hours trying to book tickets. Besides budget is not everything. I simply cannot understand how the same problems happen year after year and nothing is done to rectify them. It is beggars belief how the payment issue from Champion day yesterday was not addressed and rectified on time for the BFI's biggest booking day ahead. What is the point of all these month of efforts and money spent on putting a festival together if it always fails its members on its most important aspect: the booking process. Years ago, a member of staff told me how they had been taken by surprise by the growing popularity of the festival, but by now you would have thought they would have found a way of dealing with it, and ensure a smooth booking process. As you find out when you take any position of responsibility in a company, you have to take, well responsibility. And that means a bit more than just planning an event and hoping for the best. That means triple-checking every single detail, considering every eventuality, having a contingency plan should anything go wrong, and yet we have witnessed none of this from the BFI. Members are growing tired of the same excuses and apologies year after year, it is just not good enough. Yes the payment issue was due to an external supplier's technical issue, and it was exceedingly bad luck that it had to happen today. But there is always something, which shows some very poor organisational and forward-planning skills. How can they be so ill-prepared? The BFI's head of festival and films, Clare Stewart, has published an apology later on today, but pointing the finger and not accepting any blame does not wash with frustrated members who have suffered similar meltdowns every single year. The BFI has seen its reputation tarnished today, and the goodwill and enthusiasm from its members have suffered. Many, many members have given up and decided to demand a refund of their memberships, which, on top of the tickets they were not able to book, represents a financial loss the BFI can ill afford. And God knows how they are going to able to sort their mess, and try to satisfy its disappointed members who have e-mailed them to complain about it all. One thing is certain, this cannot happen again next year. Somebody, somewhere within the BFI's management must take some responsibility, step up and make a statement. They need to find a different method to handle the bookings next year. Even though we have to understand that members will not always be able to get the tickets for the most sought-after events they want due to an overwhelming demand, there must be a way that will not waste hours of their time in the process. Some have suggested that the BFI should outsource the festival booking, just like Sundance London does, but I disagree with this. Sundance uses Ticketmaster, an infernal online booking handling giant which charge insanely expensive booking fees, postal fees etc... and suffers from a terrible customer service. From an external point of view, there seems to be an easy solution. Among all the swanky sponsors that the festival is so reliant on (and I bet those tickets reserved for corporate hospitality are safe and well), why not approach a big I.T. company and ask them to handle this, and use their expertise, bandwidth and technical staff to ensure, for once, a stress-free booking day. Otherwise the festival runs the risk of losing some of the stature it has worked so hard to achieve. And without the promise of a change, I am not sure how many members are even willing to even bother next year. Great arguments, after putting up with yesterday's farce I couldn't agree more! Accenture, one of the principal sponsors of the festival is the world's largest consulting firm, specialising in technology services. So you would have thought that they would have taken advantage of that relationship by now. I have the vague understanding that the queue for the phone lines is limited to 20 and while I don't know how many people are manning the phones, I don't imagine that they've got 100s of staff available to do so. At times of peak demand, perhaps they could beef up the capacity of the phones too? Of course, sorting out the website so it doesn't fall over when faced with a few too many people would be the solution I'd go to first. Maybe instituting a ballot for all galas and not just the opening & closing ones could help? I noticed on twitter there were quite a few members whose member status wasn't recognised on the website. I don't really know what could be done about that. Maybe not advertising membership the hour before tickets go on sale might reduce a few of those or closing new sign-ups the day before to allow some checking of recent new members accounts? For myself, when I joined last year, I made sure to do so with enough time to make sure that my account worked properly. I think in all the frustration and understandable anger, it's been easy to forget that there are only so many tickets for each screening and that popular films would have sold out even if everything had worked as it should. Having a BFI membership has never guaranteed that I'd get tickets to everything I wanted - I mean, I entered the ballots for a lot of the Doctor Who screenings but wasn't always successful in getting tickets. I'll admit that last year, I joined because I wanted earlier access to LFF tickets but I renewed earlier in the month because events had been so good throughout the year (plus I'd quite enjoyed the warm glow of discount in the shop and on food & drink). I guess the new renewal for me will depend on the coming year's events and what the BFI implements as a solution to this kind of problem. They definitely need to do something about it. In general, I have found the BFI's website to be a major pain, so it gets worse when LFF comes around. I think they need a major rethink about service providers, the actual website and maybe redesign the entire thing from the ground up. Well, you give the obvious solution already, which is to upgrade their IT considerably. I don't know why the BFI and its customers are surprised by this every year, when they clearly don't have servers that can handle the thousands of requests. I take a rather fatalistic, yet adventurous attitude to this thing: It's always going to go wrong, and it's best to just get tickets to whatever you can, rather than being dead-set on particular titles. I've only booked 6 so far, but am going to see what I can get to during the fest itself. As for big-ticket items, I've never queued up for standby tickets and walked away without one. Not an ideal situation, but its own perverse kind of fun in a way. I remember this terrible event back on 2013. It was so bad that I ended up queuing every year at the door at 6am in fear the website would crash. This is year is the last time I;ll be doing that as I think the site has been ok last two years. It was a nightmare, but I too after much waiting got all my films. I;ve been a festival attendee since 2006 with my tickets increasing each year so I know what you mean but I;m staying a member cannot afford a champion fee.